If you are planning to source products in China for the first time, do you know where to start? You may know what you want, but do you know how to get it at the best price, delivered quickly and of the highest quality? If you don’t, you’re not alone. 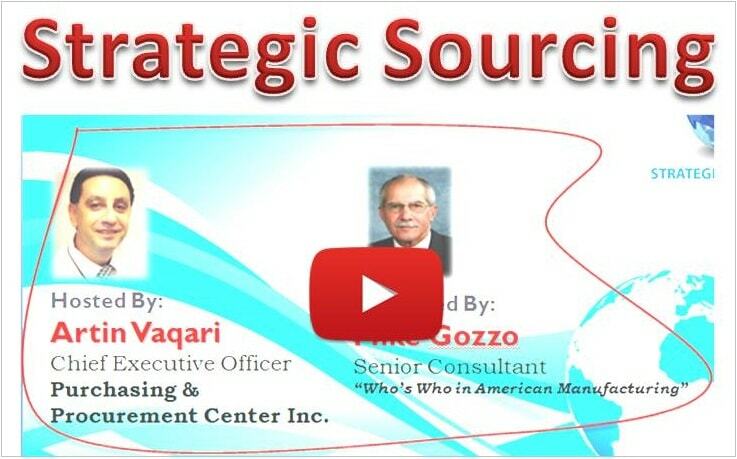 You may be a procurement specialist who knows all about sourcing products. Alternatively, you may have been asked by your boss to look at sourcing from China and fit this task in with all the other things you have to do. Or you may be a small business owner who wants to acquire new products to sell in order to improve what you have to offer. Whatever your situation, sourcing from China can be a big problem. China is a huge country and has thousands of factories that supply an immense range of products. Finding the right factory to supply the products you need can seem an impossible task. Added to the problem is the fact that the country’s industry has grown at a phenomenal rate and still continues to expand. Given this constantly changing situation, what hope have you got of making the right choice? You could, of course, start with the Internet, as most people do these days. But a quick search is likely to leave you swamped with too much conflicting information that will result in you being even more confused and even further away from knowing where to start. Making the wrong choice could, at best, mean that you pay much more than you need to do, get a delivery that’s later than promised or receive goods that aren’t quite up to the standard you expect. At worst, it could be a disaster. You may finish up with a product that is totally unsuitable — poor quality, badly designed, damaged or over-priced. Given that the factory may be several thousand miles away, the problem may be difficult or impossible to resolve. The worst outcome of all is that you might lose your job. Even if your boss is the understanding type, a poor result is hardly going to increase your standing in the company. And as a small business owner, getting the sourcing wrong can threaten the very existence of your company. Whatever your position, it’s really important you make the correct decisions when sourcing from China. Get it wrong and the outcome may be too awful to contemplate. Introducing – Successfully Sourcing Products in China Report –– The Do’s, Don’ts & How To Get Started with China Sourcing. This is a must-have report for anyone who is considering importing anything from this amazing country. It provides an in-depth assessment of China’s position today, signposts future trends and points out the advantages and disadvantages of sourcing products from there. You’ll also find information about suppliers, agents and the sources of lots of useful help and advice plus a guide to getting started. If you’re thinking of sourcing from abroad, whether from China specifically or any country in general, waste no more time and sign up for the report today. It will save you time, overcome your doubts and make sure you set off quickly down the right path. If you’re going into a new venture such as sourcing products from China, it’s vitally important that you get help and advice you can rely on. You need to go with someone you can trust. So how can you be sure you can put your faith in a company you’ve probably never heard of? How can you be certain you’re doing the right thing? Well, the short answer is that you can’t. Life is a gamble and there are very few certainties (death and taxes come to mind). But you can reduce the risk by dealing with an organization that has the right background and track record. Do your homework before you commit to anything. The Purchasing & Procurement CenterTM does, as the name suggests, concentrate purely on Procurement and sourcing products and services is a major part of procurement. Its staff do nothing else, so they do tend to have a great deal of expertise in their field. And what they don’t know themselves, they find out through a network of procurement professionals and purchasing experts. The Purchasing & Procurement Center is located in the Far East and so is close enough to China to have local knowledge, up-to-date information and access to the latest news. But it is based in Malaysia rather than China itself, so it can stand back and give a truly independent view of what’s happening. You can be sure, when get this report, that you’re getting reliable information and unbiased opinion. lists the main product categories, identifies the most popular products and shows you the ones that are the best options when sourcing from China. This ensures that you are more likely to make the best choice of supplier and buy the most suitable products. details points you need to consider, such as making sure you include all costs, obtain realistic delivery times and enforce proper quality standards. You therefore know what you need to focus on and so can avoid costly mistakes. describes changes to China’s market and its position within world trade. This identifies likely future trends so you know what is happening and can stay ahead of the game. highlights potential threats and problems that may affect China’s trading position in future years. As a consequence, you are alerted to possible threats and their consequences, enabling you to plot alternative courses should any of the likely problems eventually deteriorate further. provides full contact details of primary suppliers in different product categories, helping you to choose the right products from accredited and reliable manufacturers. Get the Report to get an invaluable tool that will help you every step of the way. 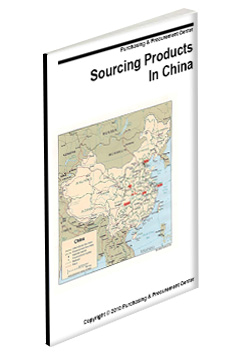 The Successfully Sourcing Products in China Report – The Do’s, Don’ts & How To Get Started with China Sourcing, is available to download at a price of $297, which is a small price to pay when there is so much at stake and potential savings can be so great. Any of the report’s many tips and pieces of information can lead to an informed decision that will save way far more than the cost of the report alone. The investment for this reports is way, way below of what you are going to spend on sourcing. And the savings that will results from the knowledge you get from this report – that’s something for you to quantify! After all, when you are sourcing overseas you are planning to source in the tens of thousands if not hundreds or even Millions of dollars. If you’re still not 100% convinced or want to put off a decision for a while, here’s an offer that you really shouldn’t be able to refuse. For a limited period only, the report is available for a special price of $197, a saving of $100 on the full retail price. Why are we doing this if the report is so valuable? Quite simply, because we want to get the circulation up quickly. Once word gets around, the report will sell in greater numbers and, when this level is achieved, the price will go back up to its proper level. Click Here to Get the Successfully Sourcing Products in China Report – The Do’s, Don’ts & How To Get Started with China Sourcing Now. If you’ve still got concerns this is perfectly understandable. Doubt and fear are part of human nature but sometimes hold us back unnecessarily and prevent us achieving our goals. In this case, however, there’s absolutely no reason to worry. To overcome any fears, the report comes with a 60-day Absolute Satisfaction Policy. If, within that time, you’re not happy with the report, if it isn’t what you were expecting or doesn’t provide the help you need, just let us know. Your money will be refunded in full, with no hesitation and no questions asked. How, you may ask, can we give such an unconditional Absolute Satisfaction Policy? Quite simple. Because we’re confident that the report will be so informative, so indispensable, so valuable to you, that you’ll not even think about wanting your money back. So sign up now in the knowledge that you have absolutely nothing to lose but there’s a whole lot to be gained. Don’t Delay — Order Now and Benefit! To order your copy of Sourcing Products from China, simply click here and in the next page enter the required information. Once you do that then you can immediately download your copy. That’s all there is to it, and you’ll receive a report that could change your life. It’s likely to increase your standing in the eyes of your boss or, if it’s your own business, boost its profitability through having lower priced products. So don’t delay, order now and gain the benefits that an informed approach will bring for you. If you’ve still got doubts and aren’t sure about whether to order, think hard about the alternatives. The reason you’re reading this letter is because you want to source products from China but aren’t sure of the best way to go about it. Successfully Sourcing Products in China Report – The Do’s, Don’ts & How To Get Started with China Sourcing. will tell you how, so failing to order means you are still left in the dark and will continue to flounder aimlessly around. If you’re under pressure from your boss, the consequences of failure are dire — no salary increase, no promotion, no other opportunities to show your worth. Once you’ve failed, you may not be given the chance again. In fact, you may pay the ultimate price and lose your job altogether. When you’re running your own company, there’s even more at stake. Selling quality products at the best available price will lead to eventual success. Sales will rise and profits will increase. Over-priced and sub-standard goods, on the other hand, will inevitably result in the failure of the business at some point in the future. It’s really up to you. Your future is largely in your own hands. Make the right choice and get your copy of Sourcing Products In China, then reap the rewards of making informed decisions and having the best chance. Or continue to procrastinate. Put off the decision and struggle to find the right product at the best price from the most suitable supplier. It’s your choice. P.S. This is a risk-free offer. The 60-day, no questions asked Absolute Satisfaction Policy means you can get all your money back if you’re not fully satisfied. So you’ve really no reason to delay any longer. Sign up now.